Audio as the Realm of the Dead serves as both portrait and audio memorial. Memory and the forest are environments that the community finds itself in a symbiotic relationship. Roosevelt, NJ’s deceased are still very much a part of this unusual borough. The audio sources are the voices of individuals who were once a vital part of this close knit community and who died between (1986-2006). 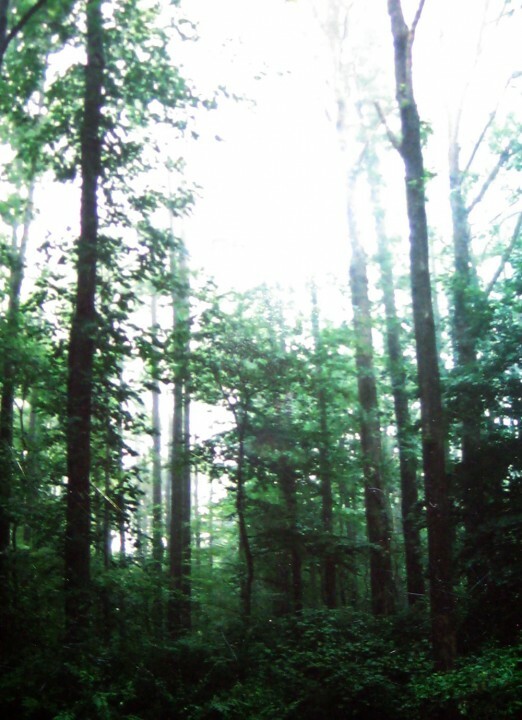 Created as a gift to those who recognize Roosevelt, NJ as their home, this one day sound installation allowed the dead to be heard again and the listener to enter into a realm of shared memory deep within the interior of the Roosevelt woods. Past skunk cabbage and locust trees, one could hear 31 voices emanating throughout the trees during a 20th anniversary RAP (Roosevelt Arts Project) celebration in May 2007. Multiple layers of field recordings, narratives, and tonal qualities of departed neighbors voices created surreal space. Source audio material was provided by relatives, friends (answering machine messages/home videos), from interviews, and from an oral history archive. Words were then reconfigured in an effort to embody the kind of spirit that these individuals shared during their lifetime within this close knit community. The narrative design kept in mind both residents and nonresidents – subtle changes were made that only listeners from within the community would notice. My hope was to create an experience that revealed the fragile nature of our perceptions and encouraged deep listening and dreaming.